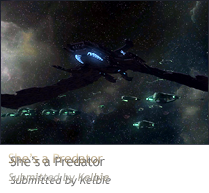 The Federation Senate advises the Executive Committee (or Fleet Admiral) on a range of topics, such as legislation, administration and justice. Its membership consists of any number of Officers, such as veterans or retired Officers but not members of the Council of Admirals. The appointment of members of the Federation Senate is solely the discretion of the Executive Committee (or Fleet Admiral). Members of the Federation Senate are entitled to read-only access of the 'Council Chambers', and are expected to raise any topics of concern with the Executive Committee (or Fleet Admiral) privately, rather than with the Council of Admirals. These concerns will be handled in confidence, as the Council of Admirals is not entitled to reciprocal access to any forum of the Federation Senate. The Executive Committee (or Fleet Admiral) may delegate any powers granted to them in this Constitution to the Federation Senate as a whole. Powers require a defined level support in the Federation Senate who may then act on behalf of the Executive Committee (or Fleet Admiral) when and if instructed.